In her cubicle high in the Shard in London, a sweet-natured, raven-haired receptionist named Raven is even more rudely mistreated than usual for a Monday morning. 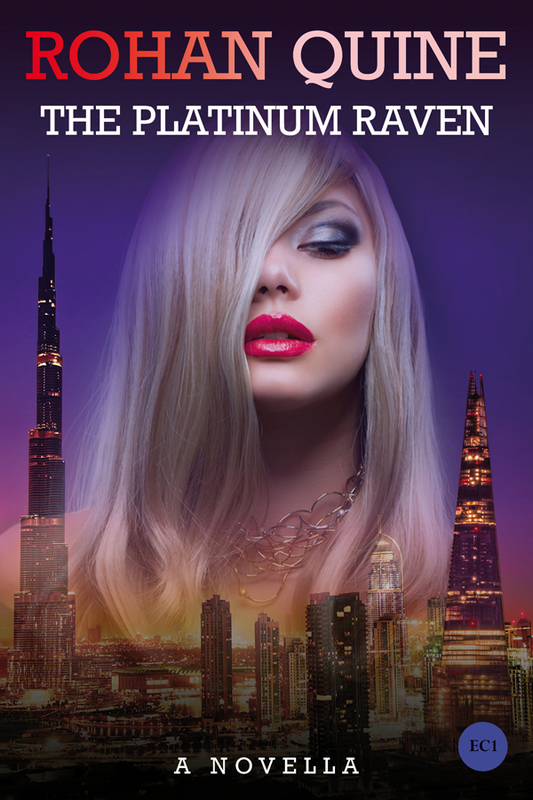 Recovering from this, her daydreams propel her into the fantasy life of a richer and more glamorous version of herself, who lives higher up in the world’s tallest skyscraper—the Burj Khalifa, in Dubai. Raven thinks of this woman as the Chocolate Raven, owing to her chocolate-coloured hair, which frames a face that’s just like her own; and straightaway, Raven cannot get enough of watching this glamorous creature. The Chocolate Raven is a party girl whose lifestyle has a certain flash, albeit a certain flatness too. Standing on the vertiginous 152nd-Level terrace of the Burj Khalifa, she gazes across the desert at dusk, to the rock-slopes of the Hajar Mountains—and a mad-faced nightclub tower of shadow sprouts up, there on those slopes, from her gaze. This tower is run by a woman with a face just like the Chocolate Raven’s, but with platinum-blonde instead of chocolate-coloured hair, who lives a yet more empowered and intensely-coloured life: for she is the Platinum Raven, no less. And tonight she will preside over the launch of a revolutionary new club drug called mirror mist. Between this uber-glamorous Platinum Raven and her companions Scorpio and Amber, there unfolds a sequence of events whose fusion of extraordinary beauty and violence and sensuality so bewitches the watching Chocolate Raven, that she is miserably desolate as soon as these events finish at dawn when the rising desert sun destroys that nocturnal tower on the rock-slopes. 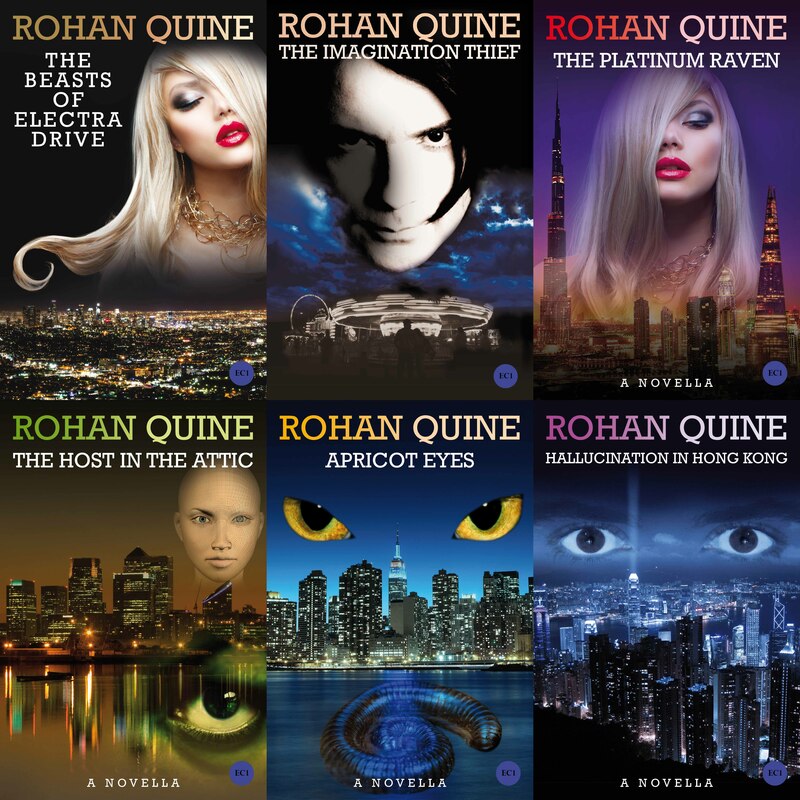 She therefore sets out on a mission to regain the voltage of the vanished building and the allure of its exotic denizens … whereupon a stark piece of evidence of the Platinum Raven’s realm is channelled through the Chocolate Raven and is pulled right back down to earth in the original daydreamer Raven herself.